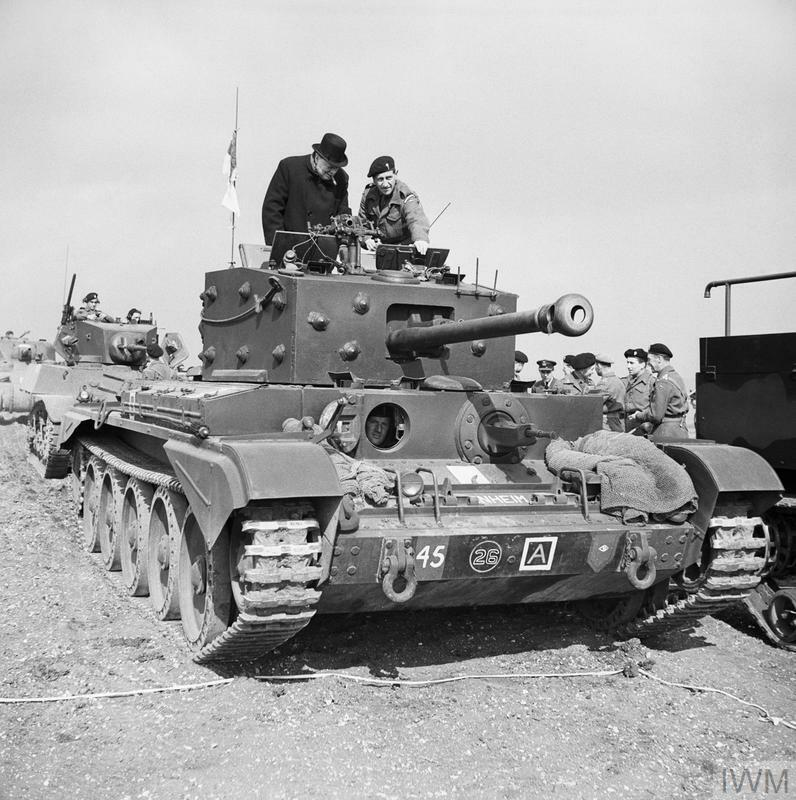 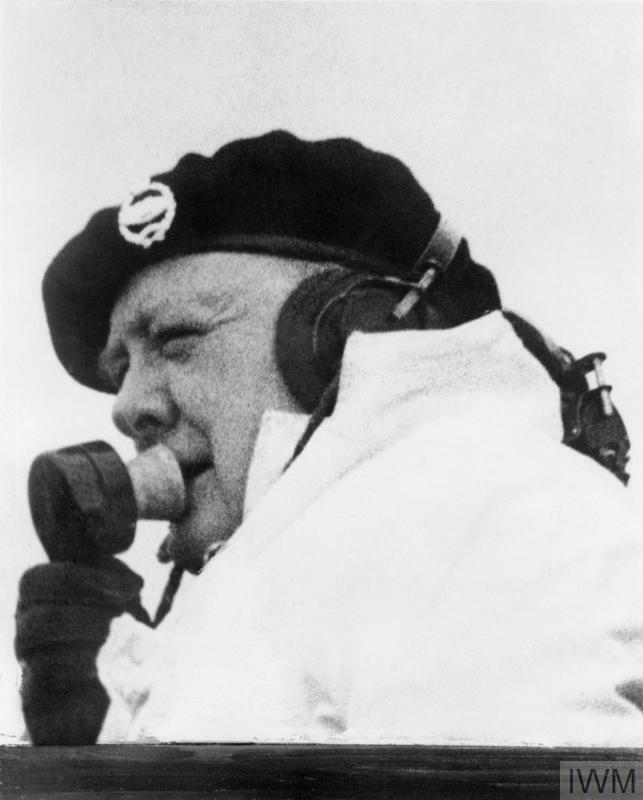 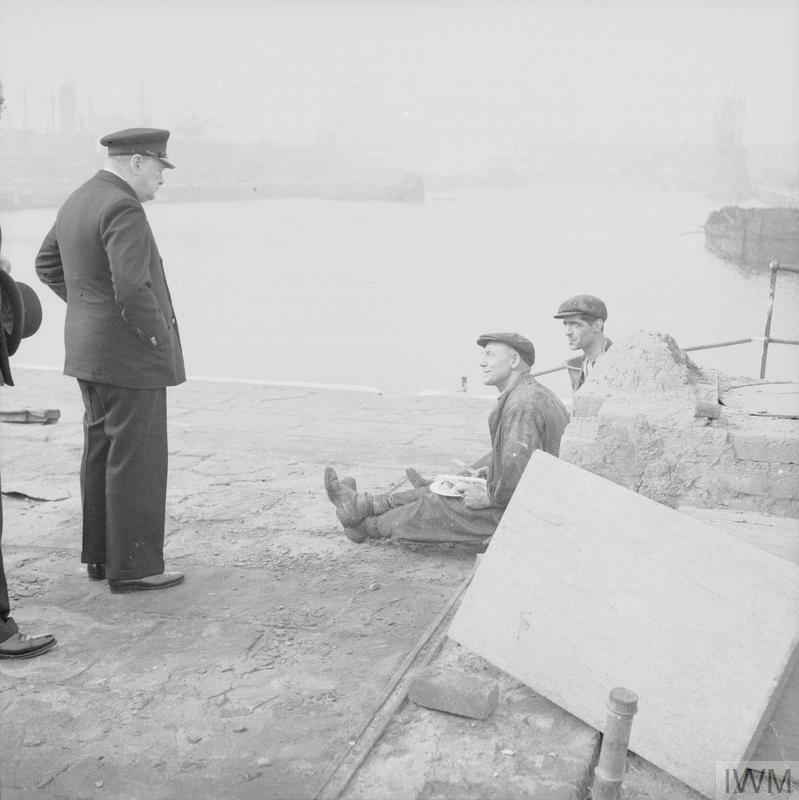 The Prime Minister, Mr Winston Churchill, with Captain The Right Honourable David Margesson, Secretary of State for War, watching preparations being made in an unspecified UK location for the launch of a De Havilland Queen Bee seaplane L5984 from its ramp. 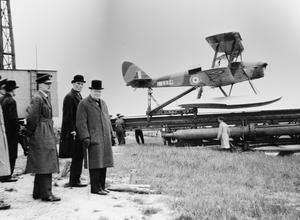 The Queen Bee pilotless target drone was a radio-controlled version of the Tiger Moth trainer. 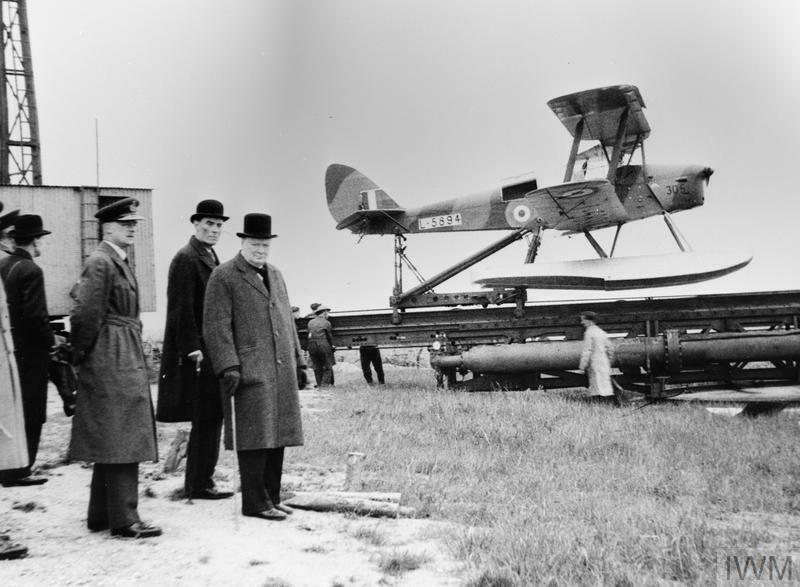 Winston Churchill and the Secretary of State for War waiting to see the launch of a de Havilland Queen Bee radio-controlled target drone, 6 June 1941.